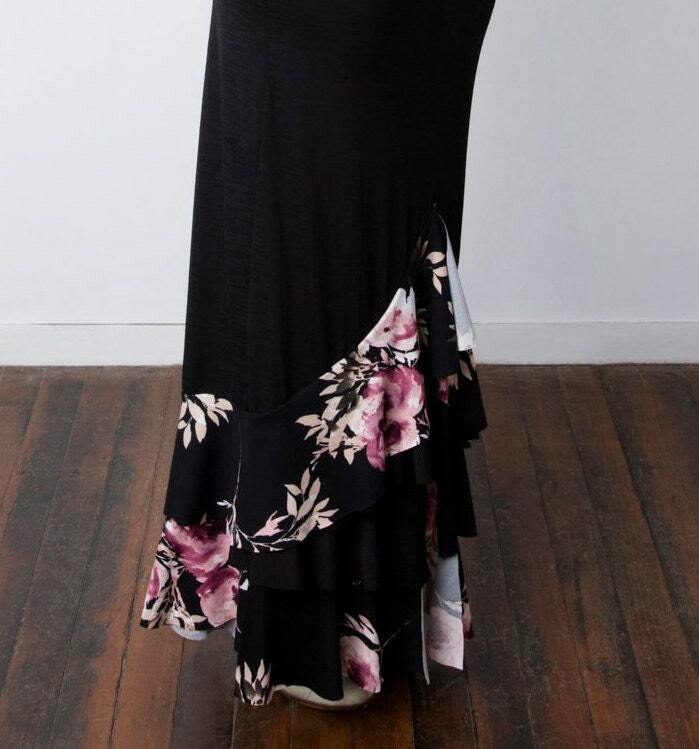 The SOFIA skirt is great for rehearsal, for class or for everyday wear. Floral frills decorate the centre front split, rising up to a point at the front. This style has a straight fit and a low fitting yoke waistband. Made in brushed ITY jersey the fabric has a very soft cotton-like feel and is super light weight. Complete the look with matching WRAP top.